It's Wednesday... half way through the week and a day closer to Christmas! While I'm excited for Christmas, it also means that I can't procrastinate any longer. haha. Must. Buy. Gifts. I'm pretty much loving all of the shoes below right now. And while I was putting this post together I realized that I am currently obsessed with ankle boots/wedges, what the heck?! Now, if only I could afford all of these. Ha! What shoes are you currently loving? 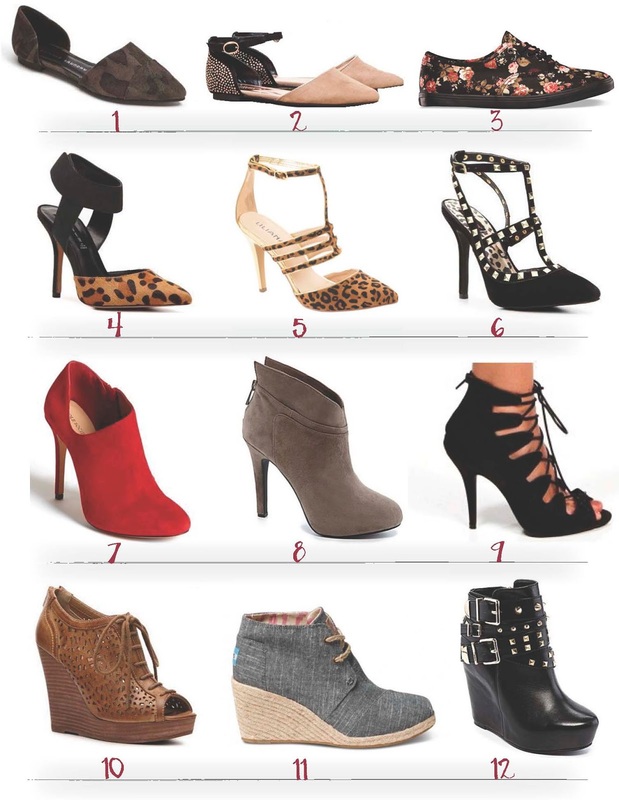 Wedges, flats, stilettos, leopard print? I'd love to know. It never hurts to add a few more to my list. Hope you gals have a fantastic week! Thanks for stopping by.